My Little Pony is a very well known show in my home. My daughter still loves the Friendship is Magic series. Her favorite right now is the Equestria girls. I'm excited that My Little Pony has taken it up a notch to appeal to older girls, this way their love for the Ponies will never end. 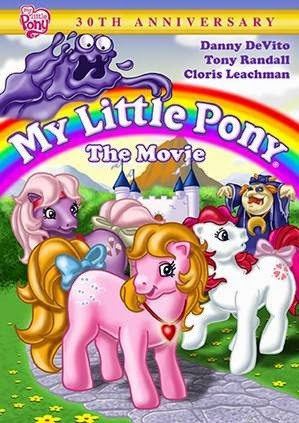 So when I got a copy of the original My Little Pony: The Movie, I was really excited to watch it with my daughter. I remember watching this movie when I was a kid and loved it, so it was great to watch My Little Pony the way I remember it with my daughter. She loved it and it was a great way for us to have a mommy and daughter movie date. My daughter absolutely loves music and singing, so the added sing-along songs made her love the movie even more. This is a great classic movie to watch with any young ones that love any of the My Little Pony shows. Since we're coming up on the 30th anniversary of the original movie, Shout Factory is releasing the movie for the first time on DVD, January 27th, 2015. And to celebrate the release we're giving away not only a DVD of My Little Pony: The Movie, but also a copy of the latest film, My Little Pony Equestria Girls: Rainbow Rocks. 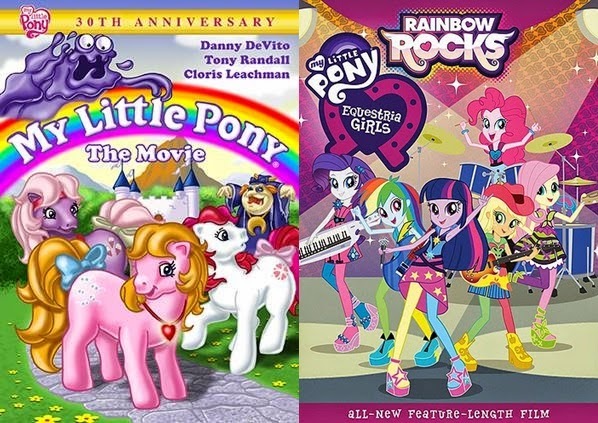 One lucky reader of Just Us Girls will win a copy of both the original My Little Pony movie along with the newest movie; Equestria Girls: Rainbow Rocks! That's both movies that are 30 years apart to enjoy with your little one! To enter leave a comment sharing with us your favorite pony from the original series and favorite character from Equestria Girls! Disclosure: All opinions are my own. I received My Little Pony: The Movie on DVD at no cost for the purpose of this review. No other compensation was received.